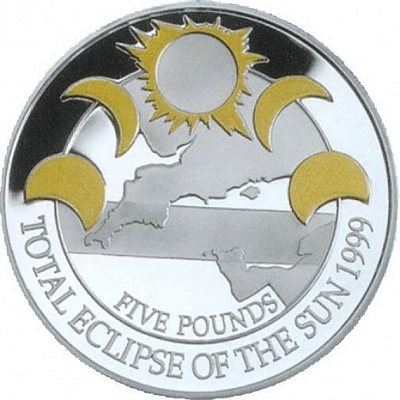 As we wait for the shadow of the moon to trek across the United States from Oregon to South Carolina, I was curious as to whether there were coins ever created to commemorate any of the past eclipses regardless of location. Allowing an online search engine to help, I was able to find a few coins. I am sure there may be a few more, but I need to run out to pick up a pair of those funky glasses! 1999 Alderny Eclipse commemorative coin image courtesy of the States of Alderny. 1999 Romanian 500 lei coin image courtesy of romaniancoins.org. 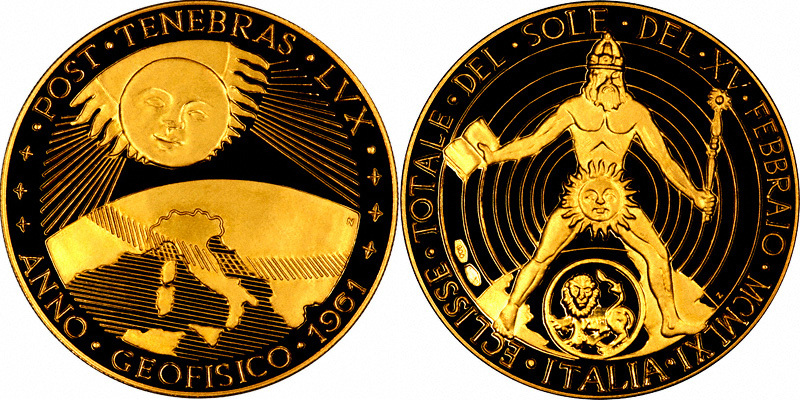 1961 Italian gold eclipse medal image courtesy of Chard. Nikopolis Eclipse Coin image courtesy of Astronomical Symbols on Ancient Coins..